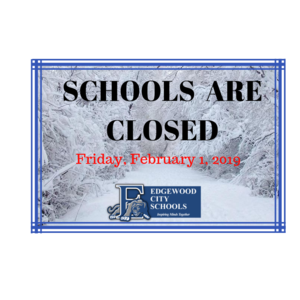 ALL EDGEWOOD CITY SCHOOLS WILL BE CLOSED on Friday, February 1st due to the snow. The Athletic Hall of Fame induction dinner and ceremony will take place as scheduled this evening. 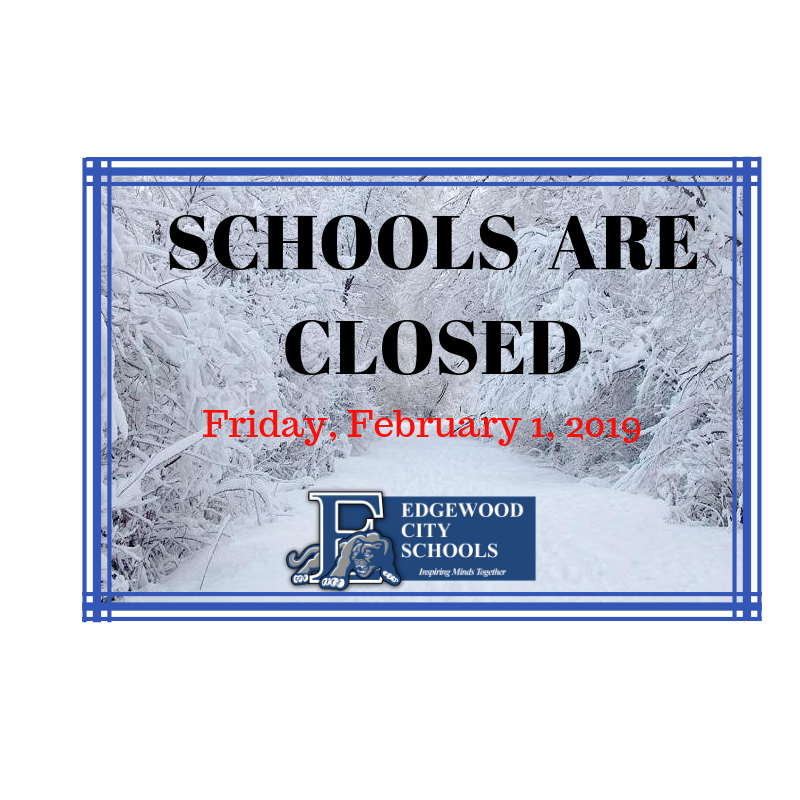 Be safe & enjoy your long weekend!